Online shopping can be addictive and we all know that the word shopping also means spending money. 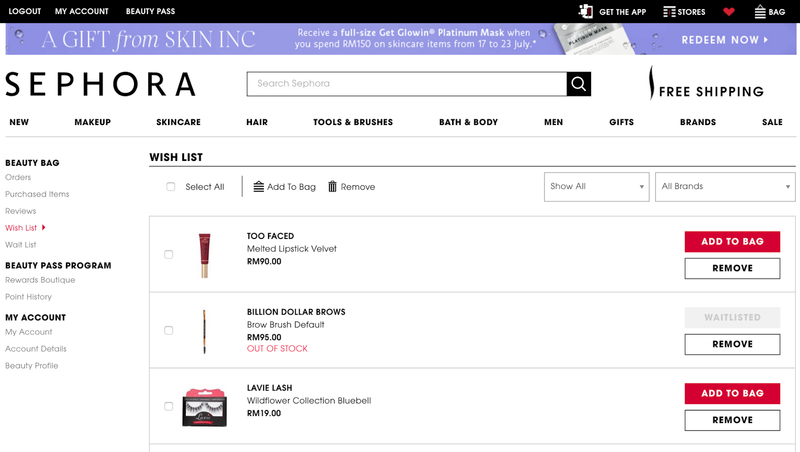 I've talked about how I love doing online shopping in few blog posts and as time goes by, I've discovered more tips on how can I save some moolah whilst doing the shopping. As I grow older and wiser, I don't shop blindly. Instead of adding all the items that I wanted to my shopping cart, I add them to my wishlist. From the wishlist, I then add the items that I needed the most to my shopping cart. This way, I've created an extra filtering step to select the items needed from my wishlist. Trust me, this extra step actually saved me from spending money on unnecessary items. Well if the first one does not work well for you, try this one instead. There are a few times where I was shopping halfway after added my items to the cart and I had to go somewhere and often forgotten about my items. Guess what? 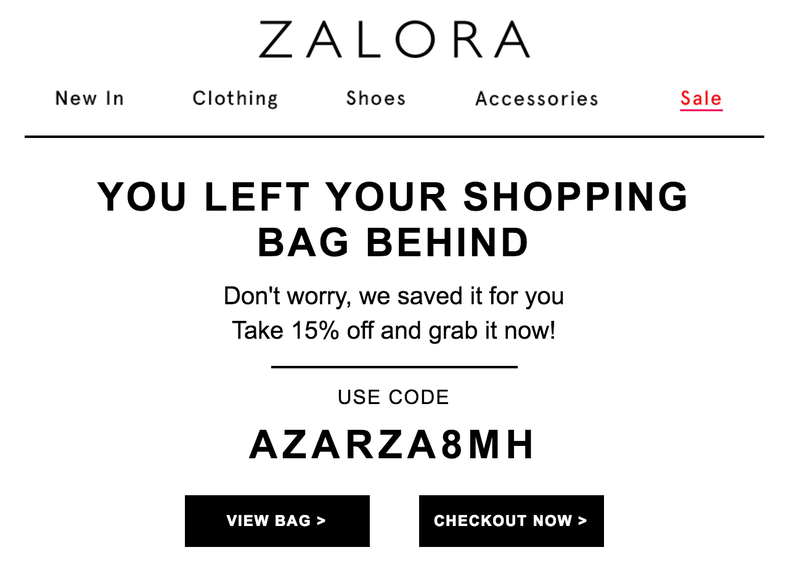 I received an email with a special discount code to inform me about my items in the cart and that simply means I got a better bargain by just leaving my items in the cart! Why don't you give this a try too? Be a smart online shopper by hunting for those discount codes for your favorite online shopping sites. Luckily for me, I know I can always get discount codes from ShopCoupons! 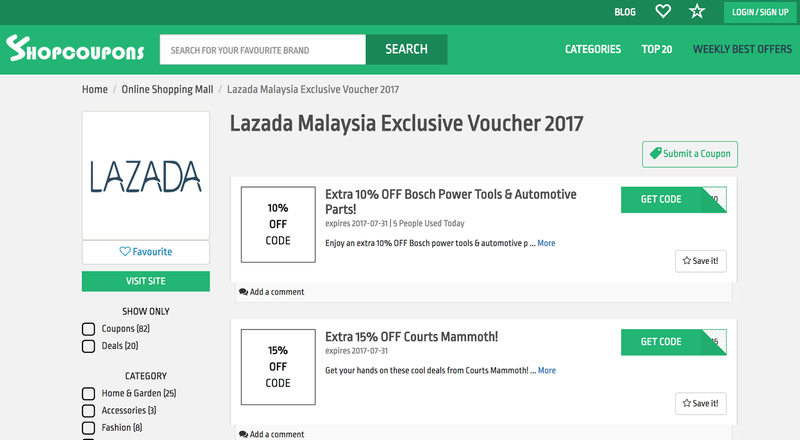 And I kid you not, you can find almost every online stores' discount coupon codes and vouchers such as Zalora, Lazada Voucher, Sephora, Cotton On, Hermo, and much more. All you need to do is search your favorite retailer on the site and click "Get Code" or "Get Deal" to reveal the code and visit the store. When you found the item you want in the store, simply insert the coupon code at the checkout and the discount will be automatically applied. Easy-peasy! I read many posts and articles on saving money through online shopping but none of them seemed to workout. Your tips look authentic and may work out. Thanks for giving such valuable tips. Online shopping can be addictive and we all know that the word shopping also means spending money. That's why it's important to use special applications to control your spendings and the amount of time you spend in internet shops. Usually I use https://rewardedessays.com expansion because it's the most convenient and have a lt of useful function and peculiar features.